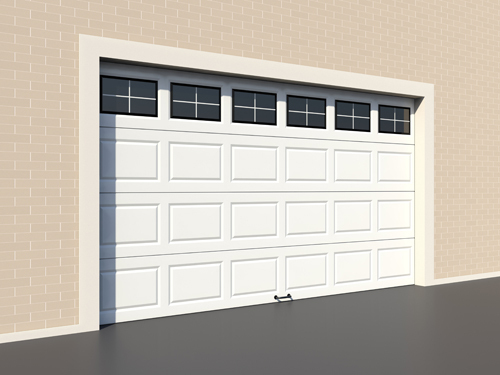 Did you know that modern overhead garage doors which are automated with an opener have over three hundred different components? The tracks are responsible for the integrity of the door and for guiding it up and down during opening and closing. The panels have side hinges which hold rollers, whose wheels are inside the tracks. What can go wrong with these components? Misalignment of the vertical and horizontal sections is a common issue. Count on us, at “Garage Door Repair Palo Alto”, to resolve it by adjusting and tightening the bracket bolts. If the door doesn’t move smoothly or keeps reversing, the track may be bent. We’ll repair it with special straightening techniques which are proven to produce excellent results. If the component is severely based or broken, we’ll replace it with a new one of the same size. Modern doors can serve their practical purpose for as many as thirty years and possibly more. Replacement will be required eventually, however. When the time for this comes, count on us to do the job. Our door installation service is fully comprehensive. Rely on us to help you with choosing the right unit for your needs. We’ll explain everything about the different structures, makes and insulation options. Count on us to install the panels and hardware securely and to adjust the torsion spring and the opener accurately. We can replace the opener too, if necessary. Our work will be completed with full testing to ensure that the new door works exactly as it should.